Leadbeater’s Possum is Victoria’s State Faunal emblem. A critically endangered species with both State and National Recovery Programs in place. Endemic to Victoria, they exist nowhere else but the Central Highlands forests, Yellingbo Nature Conservation Reserve and alpine areas between Lake Mountain and Mt. Baw Baw. Population estimates prior to the 2009 bushfires were around 2,000-2,500 individuals, post-fire estimates are <1,000. Approximately 45% of their prime habitat and population was lost in the 2009 fires. We are Friends of Leadbeater’s Possum Inc. – a group of volunteers who came together on National Threatened Species Day 7th September 2004 to give a voice to these amazing but elusive forest animals. Leadbeater’s Possums population and habitat is suffering from ongoing clearfell logging (including salvage logging), bushfire destruction in 2009 and bushfire prevention methods like fuel breaks and fuel reduction burning. We are actively working towards achieving the proposed Great Forest National Park to provide security to Leadbeater’s Possum populations into the future. Together we hope to be able to help Leadbeater’s survive in the wild by developing public awareness, conservation efforts, research programs and effective conservation strategies and policies. George watches his home disappear on a log truck! In 2010 Georgia, a wildlife carer, was driving along the Maroondah Highway approaching the summit of the Black Spur, when she noticed an animal lying still beside the road. She stopped to render assistance, only to discover the animal was unfortunately already dead. 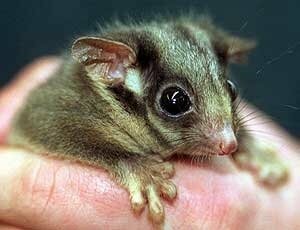 However she was astounded when she realised it was an endangered Leadbeater’s Possum! This was particularly surprising as the Black Spur road area is not Leadbeater’s Possum territory. The animal had no marks on its body. It hadn’t been hit by a vehicle or caught by an owl and dropped. 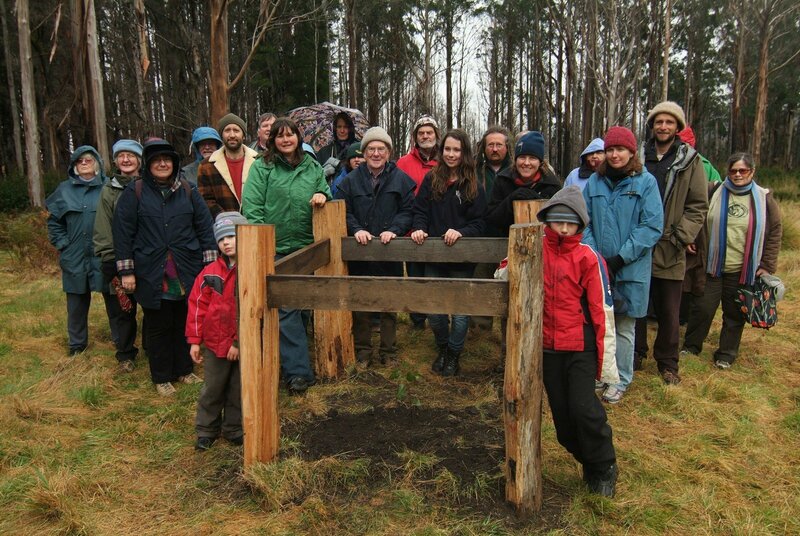 Perhaps it had travelled out from a clearfell logging coupe with the logs on the back of a truck. Certainly a lot of animals are still inside trees when they are felled, most are killed instantly. 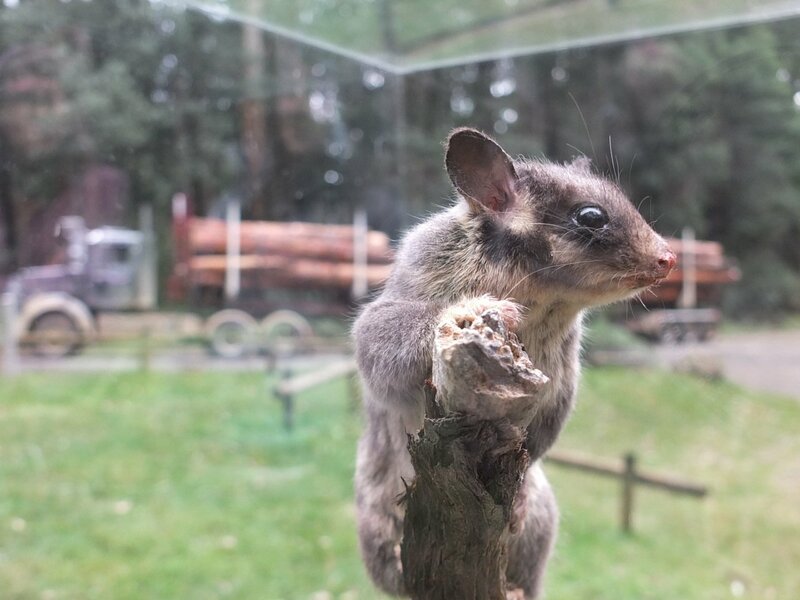 Realising she was in possession of a very special rare creature she took the body to the Parks Victoria office in Woori Yallock and Ranger Joanne Antrobus, who was working with Leadbeater’s Possums at the time, took charge of it. George remained in the freezer for a year while Parks Vic and Melbourne Museum discussed who had the rights to the body and who was going to pay to have it taxidermied. In the end Melbourne Museum took the body (as they have first call on any deceased wildlife) and had it professionally taxidermied. On 6th April 2011 at the 50th Anniversary celebration of the rediscovery of Leadbeater’s Possum, Melbourne Museum kindly donated George back to Parks Victoria for the Friends of Leadbeater’s Possum to use for public education purposes. George, a male, is named for his rescuer.